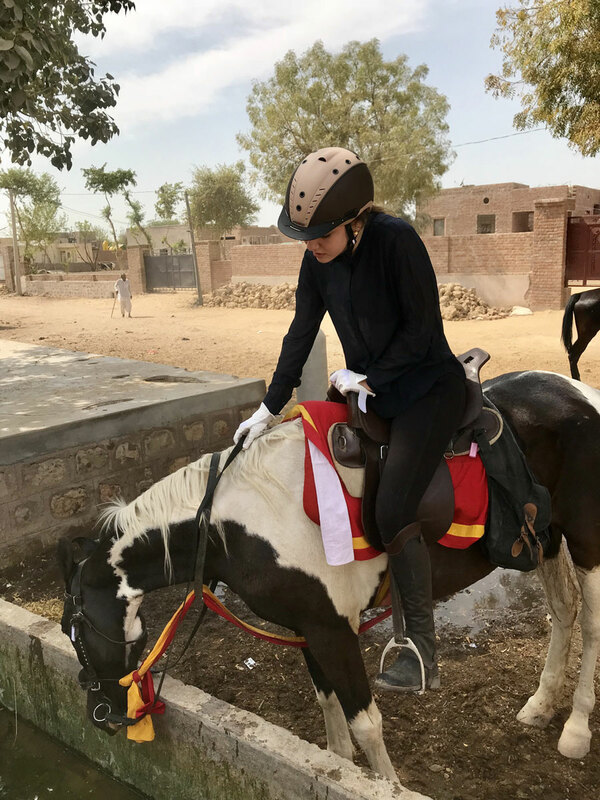 Below is 16 year old Elena Viennet's experiences with us on this past February's Khimsar Relief Ride in her own words. It was a great joy to have such a courageous young rider join us. I hope all of you enjoy reading about her experience in India. "Traveling has always been a big part of my life. Being born and raised across the Atlantic from half of your family means you get to move around quite a lot. However, in the middle of my junior year of high school, I left for my journey as a Relief Rider. My first trip ever into the unknown, no family or friends waited for me on the other end. I was experiencing the thrill of a full discovery. 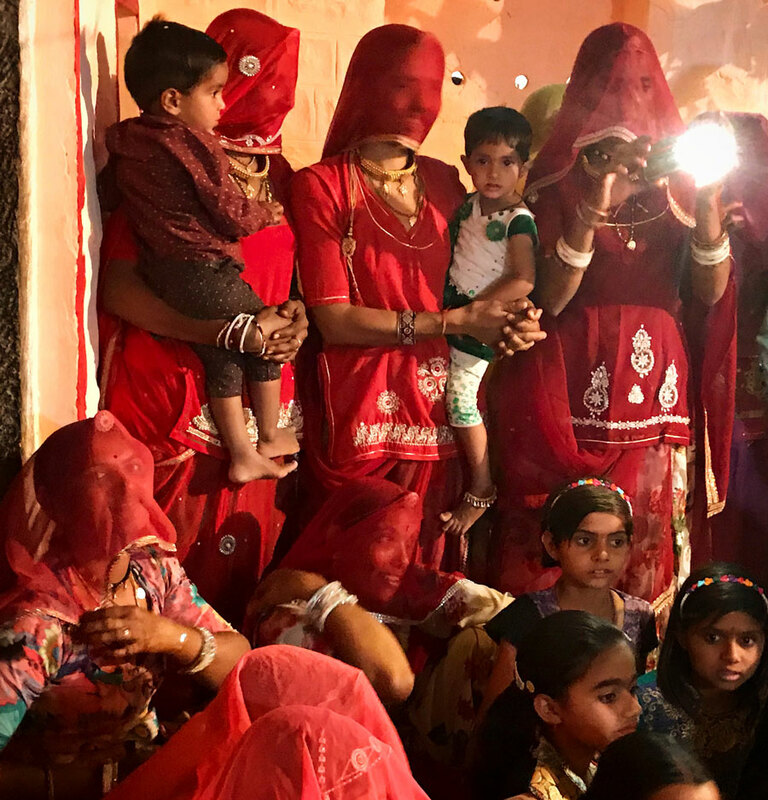 "My first Relief Ride was the February 2018 Gajner Relief Ride in Rajasthan, India. 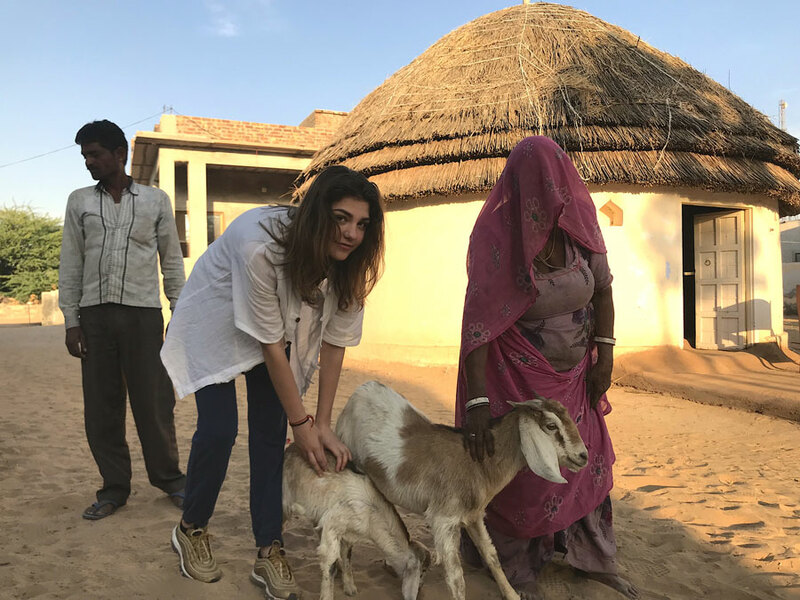 Immersing myself into the busy bustling streets of New Delhi, a ride on the night train to the desert town of Bikaner, followed by a 200km horse ride across the most populated desert on Earth, the Thar. To say it was beautiful would be quite the understatement. 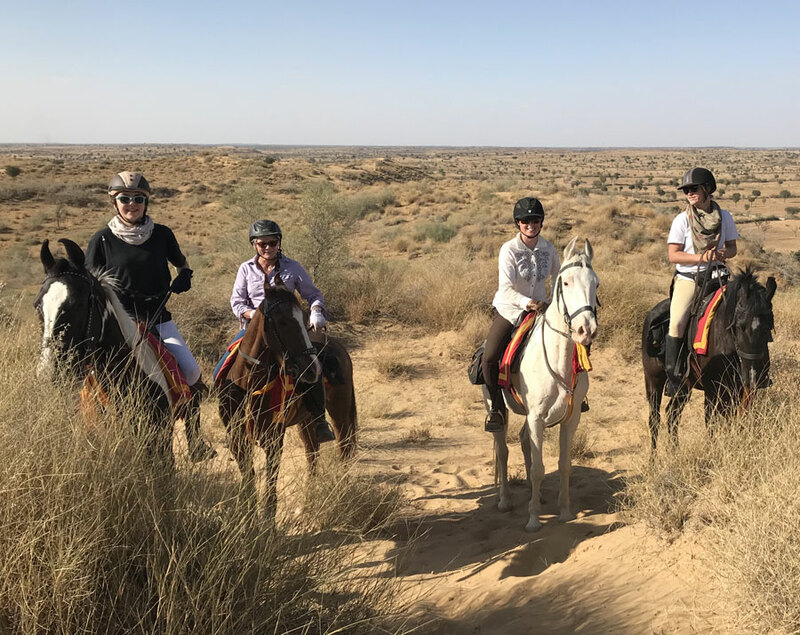 Mixing the grand sand dunes and fields of the Rajasthani desert to the thrill of cantering through it all makes for a vivid and breathtaking journey. The food was incredible and our camps had the perfect balance of practicality and comfort. 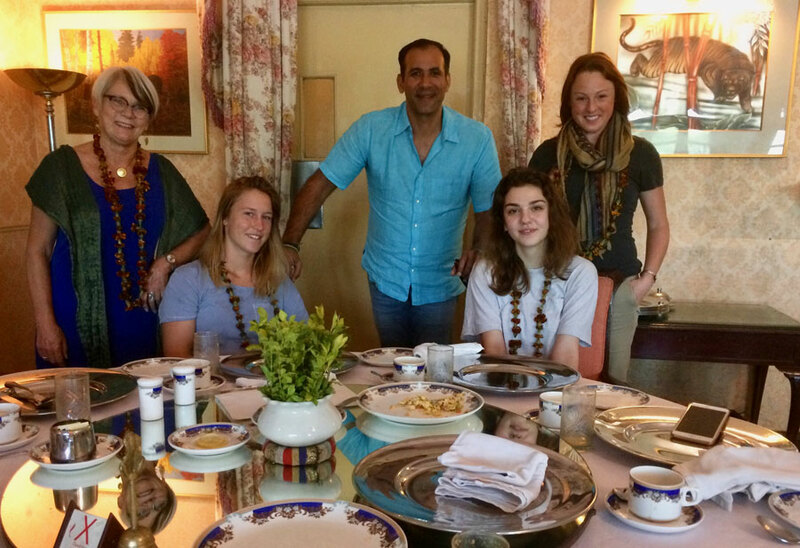 "Exceptionally interesting and adventurous people joined us on what was one of the most profound and meaningful experiences of my life. More importantly, through medical camps, interactive educational programs at schools, and the goat giving program, we where able to meet and learn about, and help those who lived in the region we rode through. "I am now sitting on a plane, preparing for my next adventure. Why an adventure and not a vacation you might ask? I have come to believe that everyone should have the opportunity to live the life of a traveler or an explorer at least once, even if it doesn’t last. The mystery of each and every new location is one that unravels itself as you go, and, as Henry Miller once said, “One's destination is never a place, but a new way of seeing things.” In fact, traveling allows you to leave what you know behind and wander in a world full of beautifully different sights, people, and cultures. Having just turned sixteen, and in the process of my own journey of self discovery, every experience, and every conversation I have plays a part in shaping my future self. However, one of my most significant experiences so far has been my trip to India and the Relief Ride I participated on last February. "Most people find that fear quite rational. After all, it was my first time away from anything or anyone familiar. But, through these 14 days riding around some of the poorest regions in the world, I met some of the most generous people yet. Schoolgirls my age, full of passion and dreams concerning an education we tend to take for granted or teachers who made it their mission to help the children they teach have a better future, as well as widows taking care of families of sometimes ten or so children. It’s watching people evolve with so little yet be so willing to give that showed me just how connected and equal we all truly are. "This trip allowed me to be more than just a tourist. I was able to leave the bubble in which I have grown and open myself to a world completely different to my own. I came home feeling like I had filled myself with transformative experiences, and surprised myself by how far I had travelled in my inner world in such a short period of time. "I have experienced 16 years 3 months and 20 days, or 850 weeks and 6 days, or 142 944 hours on Earth. However, it only took me fourteen days to gain a sense of inner balance, a shift in perspective. 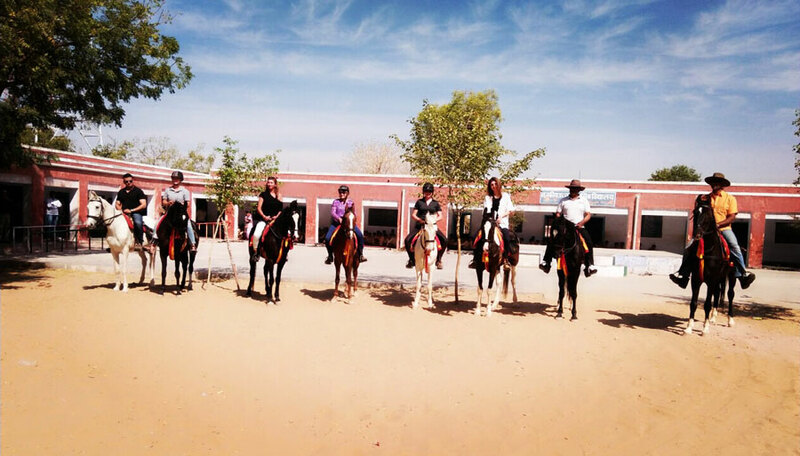 A fortnight, during which I left, alone, for an adventure, with people I had never met, in a country I had never visited, to cross a desert I didn’t even know existed on horse back and help those in need. Was I afraid? You bet! Would I do it again? In a heartbeat, every moment, Hands down." There is no greater gift than re-gaining one’s eyesight, the ability to chew properly, and re-experiencing a sense of independence. Ride with us and change the odds of those we will meet.